The Junkyard is what the school called the special education class. Reading the book, it's pretty sad the way they treated special education kids 50 years ago. In fact, today many of these kids would be considered eccentric today. It didn't take much for kids to be put in the Junk Yard. As usual, Polacco draws from her own life to form a powerful story. A mouse living in Europe tries to escape to America. He can't get on a ship so he builds an airplane to make the journey. The illustrations are beautifully detailed. Beautifully illustrated, a elderly man shares memories of his life with his great-granddaughter via his matchbox diary. As a young child immigrant, he could not read, so stored items in little matchboxes. These acted to remind him of important moments in his life. This book is a little controversial. A cat, celebrating, goes to a restaurant and as a treat orders a live mouse. The mouse, while on the dinner plate with a fork and knife hanging over him, amicably talks with the cat. I thought the text and pictures were excellent, but the images are a little disturbing. Read it to yourself before you read it to your child. Recommended for advanced listeners and older children. This is a long picture book by great father and son team. The issues tackled here are pretty serious, though in the guise of a cat and mouse tale. Mrs. Marlow is a young widow who, at great risk to her own safety, hides a family of mice from a gestapo-like police society. If you read this to a 5 year old, just let them enjoy the story. Perhaps for an older child you may want to discuss it. Both the writing and the pictures are superb. Recommended for advanced listeners and older children. The time is 1969, the landing of the first man on the moon. A young girl and her tired old grandfather debate the merits of sending a man to the moon when so many people are poor. Biesty is a great artist who draws complicated objects in an exploded way. For example, he shows castles by cross section, steam engines with all the interior parts visible, even the human body and all its organs. Look for all his books. Sadly many are out of print, but most libraries still have them. His books are great for stimulating young minds. A young black boy, struggling during the Great Depression is not to thrilled about having to eat beans every single night. The book, I think, can be interpreted to have a very deep message about how in America, with some ingenuity, a person can rise from almost nothing. Math also makes its way into the book in a pretty neat manner. Korczak is considered by many to be a modern saint. He seems to be the first person to spread the message that children deserve respect. He started an orphanage where the children set their own rules and judges themselves. He died trying to protect his orphans from the Nazis. Pop's Bridge deals with the building of the Golden Gate Bridge. Bridges are one of the first wonders that children encounter. Each time a child drives over one, they ask a million questions about it. This books helps explain the hard work and sacrifice of life, that made the bridge a reality (10 men died in a construction accident). The pictures are superb and show the different stages of the bridge while under construction. One of the subplots in the book concerns which of the workers has the more important job. After the accident, we see that they are all equally important and dangerous. I have always loved the giant redwood trees of the Pacific Northwest. This great book is highly interesting and educational. I learned that some big redwoods have a forest of trees growing out of the dirt trapped on the redwood crown. Carroll is an award winning astronomical artist. In other words, these space pictures are really cool. Amazingly, The Big Bang is explained for children. A simple story that illustrates the stupidity of war and baseless hatred. It is set as an animal story, a war between swans and peacocks. Hoestlandt tells the true story of a Jewish friend who was lost to her, in France, during World War Two. Hoestlandt was having a sleep over party when the police started rounding up Jews. A beautifully illustrated, short biography of Charles Darwin. It explains the rudiments of evolutionary theory. The story of Eratosthenes and how had figured out a way to measure the circumference of the earth (200 B.C). If only Columbus had read his history (or done the simple calculation), he might never have tried to reach India by going west. This is one of the best picture books I have ever read. It is a short biography of the man who solved a problem thousands of years old: how to allow a ship at sea to correctly calculate its current longitude. He solved it by inventing a chronometer, a super accurate portable clock. The pictures are great. In 1958 Mao Tse-Tung declared war on sparrows, blaming them for eating China's wheat crop. After the birds were decimated, insects ravaged the crops causing a famine that killed over thirty million. This book is a personal dramatization of this historic event. 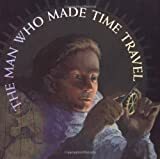 A great book that shows the major inventions from prehistory to modern times. Warning: the parent or teacher should read this book in full before reading it aloud to the child. This is one of those great, true stories. Though a little hard to read, it makes one feel good about the human race. No one dies in the story, but a little girl gets cancer and loses her hair. When she comes back to school, her classmates all shave their hair to make her feel more comfortable. It follows the adventures of President Lincoln's two sons (mostly true) during the civil war. In fact, it gives a kids view of the war. The paintings and story really bring Lincoln to life. I am glad the book ended before Lincoln was assassinated. This is a re-illustration of an old celebrated short tale. The story tells of a girl who finds the once in a lifetime treasure that can only be found by one who really needs it at the most desperate time. Warning: this truly is a sad book. Read it in full before reading it to your child. Rosen writes a true story about how he deals with the loss of his son Eddie (he died from Meningitis when he was around 18 years old). Rosen writes about sadness. So, if you think it is time you child learns about sadness, you may want to consider this book, perhaps if someone died who is close, or you know someone is suffering from depression. The whole world, from the inner core of Earth to the weather system is explained in this fun, illustrated book. This imaginative book tries to predict what life will be like for kids in 20 years.